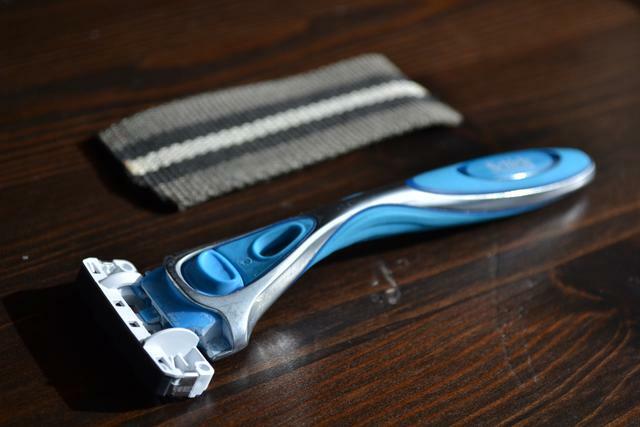 If you, like me, use disposable razors, then you are very well aware of, why the blades are some of the most stolen objects, from convenience stores – they are unbelievable expensive; and to add to the mix, they do not last that many shaves. I have tried my share of different makes. Having quality of shave and longevity as top priority; I have navigated through the jungle of disposable razors. Gillette mach-whatever, did not do very well in those aspects. They shave pretty good when brand new, but a bit too expensive to treat as one-time objects. Therefore I stopped using Mach 3, once I found something better. But even though I found something both cheaper, better and longer lasting, I always tried every way, to prolong their life. Somewhere I stumbled upon an advice saying that, pouring boiling water over the blade should rinse it – this helped a little, but once you got to the point where the blade scratches a bit; this no longer worked. Now recently, I found this advice that I am sharing with you today. Some claim to have used the same blade for several months – which I am pretty sure I won’t be doing, but it does help tremendously. What you do, is take a pair of old jeans, or anything made of jeans-like-material. I found an old belt that could spare a few inches. And talking about belts; this trick should also work very well, with the backside of a leather belt. You then simply “shave” in the opposite direction of what you normally would do. Do this a few times from different angles, as shown in the video below, and you should immediately feel the difference. I did it before, and a few times during the shave. There you have it, todays simple advice. Feel free to share your experiences if it works or not, and of course if you have any additional tips, then I would love to hear about it. Next Post Does overtraining exist?